El Sexto Festival de Son Jarocho en San Francisco celebró en su edición de febrero de 2018 de manera especial a las mujeres del son jarocho. Como parte de nuestra serie “Sonidos de California”, Radio Bilingüe grabó música y conversaciones con las artistas de los destacados ensambles Caña Dulce y Caña Brava de Veracruz, Mexico, Entre Mujeres de Los Angeles, y DiaPa’Son del Área de la Bahía de San Francisco. Las grabaciones y programas ahora están disponibles para el público en este archivo. 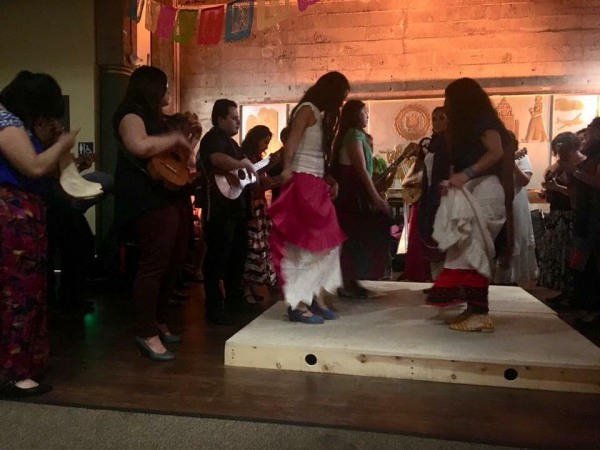 The Sixth Annual Son Jarocho Festival in San Francisco in February 2018 celebrated the women of son jarocho. As part of our series “Sounds of California,” Radio Bilingüe recorded music and conversations with artists from the outstanding ensembles Caña Dulce y Caña Brava of Veracruz, Mexico, Entre Mujeres of Los Angeles, and DiaPa’Son of the San Francisco Bay Area. The recordings are now available to the public in this archive. This project was carried out in partnership with the Alliance for California Traditional Arts, and in collaboration with the Smithsonian Center for Folklife and Cultural Heritage, with the support of the National Endowment for the Arts and The California Arts Council. Special thanks to Brava Theater. The Sixth Annual Son Jarocho Festival at the Brava Theater in San Francisco, California celebrated the women of son jarocho. The festival concert included the groups DiaPa’Son from the San Francisco Bay Area, Entre Mujeres from Los Ángeles, and Caña Dulce y Caña Brava from Veracruz, Mexico. This is the audio of the concert. In this English-language talkshow hosted by Zaidee Stavely, we explore the innovative impact that women are bringing to the son jarocho tradition, and how California women have learned from the culture of fandango in Veracruz, brought it back to California and made it their own. The music that filled San Francisco’s Brava Theater during the 6th annual Son Jarocho Festival was clearly from the port of Veracruz on Mexico’s Gulf Coast, with its distinctive jarana, harp, jawbone percussion, and zapateado, the beat kept by dancers on a wooden platform called a tarima. But this music is also Californian now… it’s played up and down the state at fandango parties, marches, and in living rooms. 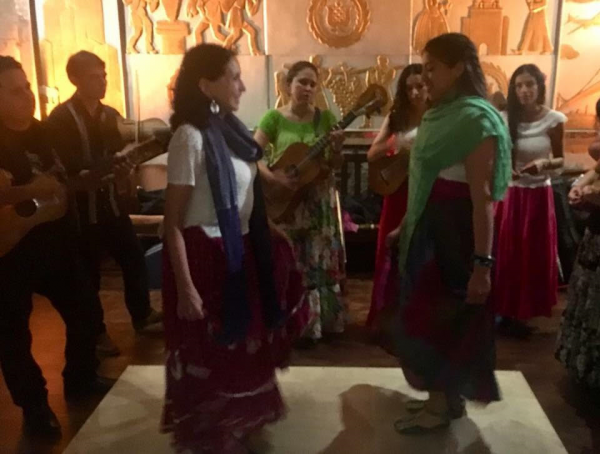 In this English-language feature, Zaidee Stavely reports that women, especially, are innovating son jarocho on both sides of the border. 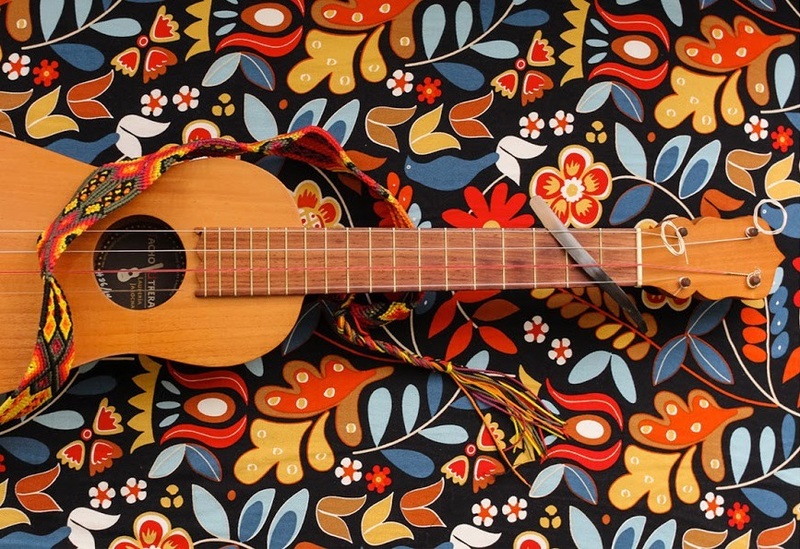 “Son jarocho” is a musical genre from Mexico’s east coast that has captivated audiences around the world with its distinctive sound mixing the harp, jarana and zapateado. The music has made its way to California, and is here to stay. It is increasingly played in fandangos, marches and family parties throughout the state. In this feature in Spanish, Zaidee Stavely reports on how women from both sides of the border are bringing new sounds and new lyrics to the traditional Mexican musical genre. 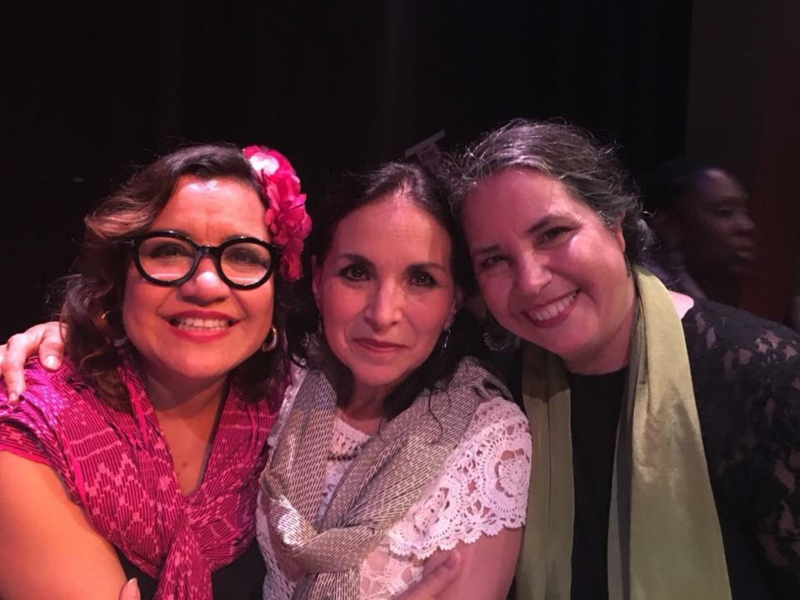 Chelis López’s conversation with the women musicians who participated in the Son Jarocho Festival in San Francisco focused on the role of women in son jarocho, and the collaboration between women soneras in Mexico and California. Marco Vinicio González prepared this summary of some of the highlights of the discussion. 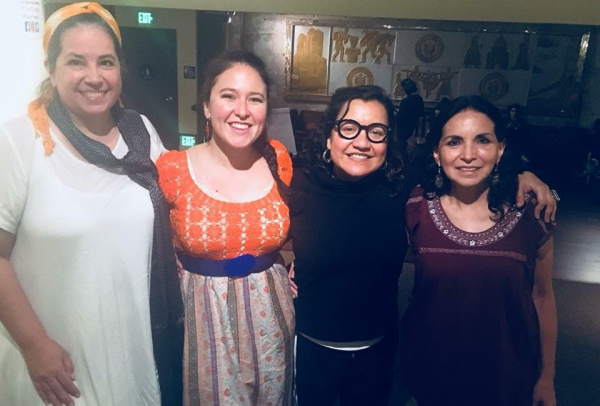 Women musicians from California and Mexico convened in San Francisco community festival for a unique series of fandango and son jarocho concert activities where the voice and art of women was headlined and honored. 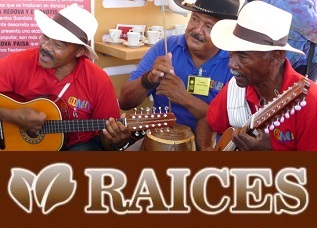 This program in Spanish is hosted by Chelis López, and offers conversations and music by son jarocho women.